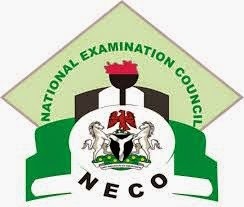 The National Examination Council (NECO), released the results of the 2015 June/July Senior School Certificate Examination with a total of 727,389 out of the 978,886 that sat for the examination, scoring five credits and above. for the examinations, while English Language and Mathematics, the two core subjects for both arts and science students seeking admissions into tertiary institutions also came out with good results. He said that 978,886 candidates of the 989,622 that registered sat for the examination which was conducted 76 subjects. Giving a breakdown of the result, Okpala said that of the 989,622 candidates that wrote the examination 72.58 percent scored credit level and above in English Language while 69.49 percent made similar grades in Mathematics. In sciences, 72.86 percent of candidates that sat for Chemistry had credits while 69.38 percent of Physics candidates had credit levels and in Biology 67.83 percent of the candidates made credit grades. Okpala said that beyond the cost of running the examination, insecurity in many parts of the country grossly affected the logistic operations of the council during the school based examination. The registrar also said that efforts of the council at reducing examination malpractices paid off as only 0.44 percent of those who sat for the examination were involved in malpractices. A comparative analysis of past results showed a steady improvement in results over the past three years posting the best result in the current year. Okpala said that, notwithstanding, NECO has been able to release their results within 62 days after the last paper.